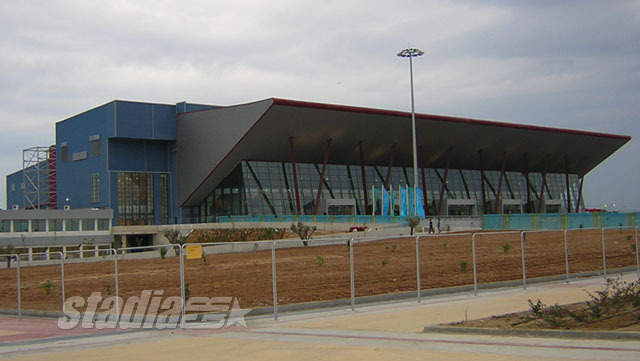 This new indoor arena will host the basketball preliminaries as well as the handball finals during the 2004 Athens Olympic Games. 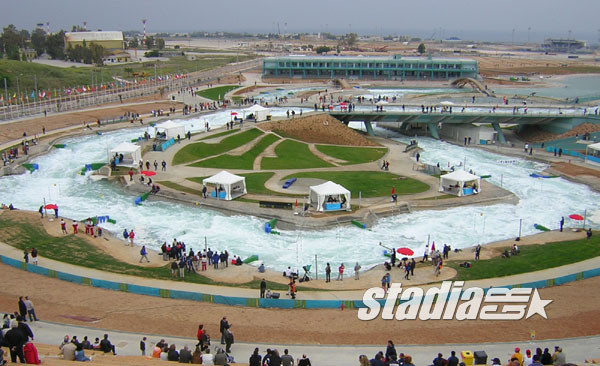 It has a capacity of about 14,500 spectators. It is without a doubt the most "NBA-like" arena in Greece. 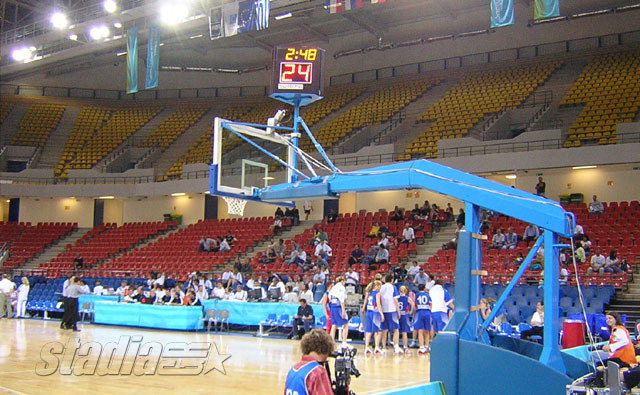 Featuring a pretty large capacity and with its stands starting just off the basketball court, it is the first major Greek arena that does not also have an awkward vastness for spectators (as is the case with the Olympic Sports Hall or the Peace & Friendship Stadium). 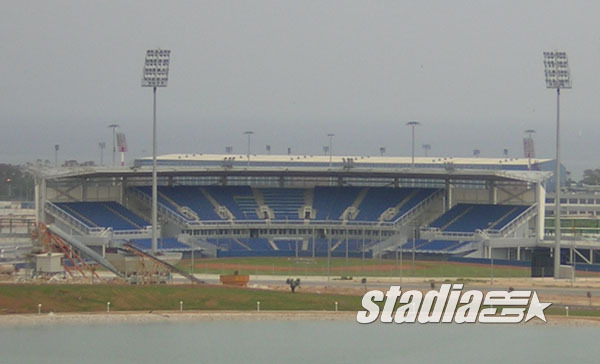 Note, however, that the capacity of the new Helliniko Arena will be reduced to approximately 8,000 after the Olympics, as most of the upper tier seating rows are temporary and are scheduled to be removed. 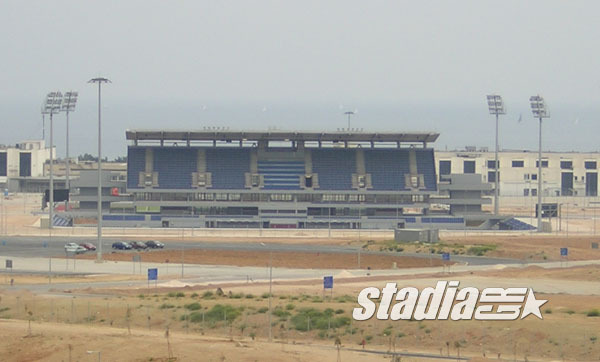 The new Helliniko Arena is a special case for yet another reason: it has been constructed in the old Athens airport, taking the place of the Olympic Airways major aircraft repairs hangar. The metal frame of the arena is the only thing that remains of the old shed, as you may see in the drawing on the right. Watching a basketball game there seems really strange in this way, thinking that Olympic Airways jumbo jets were being repaired there up until 2001, when the airport closed. The budgeted cost of the new arena (together with the smaller Olympic Fencing Hall that lies next to it) was € 48,992,055. Works for its construction commenced in early 2003 (by the joint venture of Michaniki and EllisDon) and were completed in May 2004. 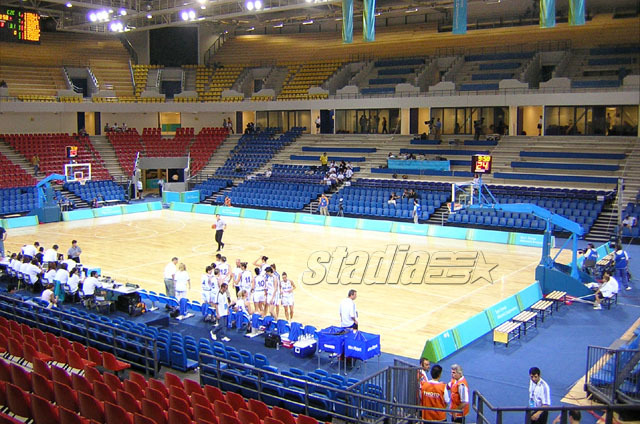 The arena was inaugurated on 4 June, during the Women's International Basketball Tournament. All photos on this page were shot then. You may view the last one, below, in full size by clicking on it. The two plans of the arena featured above come from the website of EllisDon Construction.